“Grandma” is a movie for every woman, grandmother, mother, daughter, any man who has been involved with the aforementioned, and definitely any fan of Lily Tomlin. She has been a force of nature from her early days in “Laugh-In” from 1970-1973 to winning a Grammy for her comedy album in 1972 to an Oscar nomination for her film debut in 1974 in “Nashville” and winning a Tony Award in 1985 for the brilliant one woman show her partner of 42 years, Jane Wagner, wrote for her “The Search For Signs Of Intelligent Life In The Universe” up to and including a 2015 Emmy nomination for outstanding lead actress in a TV comedy for “Grace and Frankie”. If there is any justice in the movie business Tomlin should have an Oscar nomination for her role in “Grandma”. Though her role of Elle is a tour de force for Lily Tomlin she has a strong supporting cast especially Sam Elliot in a scene that is the highlight of the film. Judy Greer, her girlfriend of 4 months, “Just a footnote”, Elle tells her breaking up with her, Julia Garner as Sage , Elle’s granddaughter, Marcia Gay Harden as Elle’s daughter, and Sage’s boyfriend, Nat Wolff, who is responsible for Sage’s pregnancy which puts the story into motion. Laverne Cox as a tattoo artist friend of Elle’s, Elizabeth Pena as the owner of a small book store not to forget John Cho as the owner of a coffee shop all have what are basically cameos but each impresses as being chosen for their scenes by the director and screenwriter, Paul Weitz, who wanted the best from each actor and got it. Is Lily Tomlin Elle or is Elle Lily Tomlin? 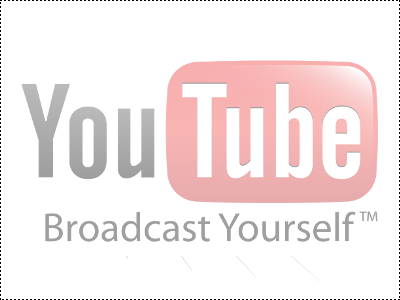 From the public persona of the entertainer we all know, it is hard to decipher if they are separate or combined into one. We see Tomlin’s highly skilled comic talents and in her scene with Sam Elliot plus an earlier scene where she grieves for her lover of 38 years, who died a year and a half before the movie starts, we feel the emotional range she can and does show as an actress or is it Lily Tomlin, the woman we think we know? 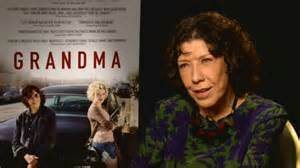 “Grandma” is a short film, about 80 minutes including the end credits, that shows Lily Tomlin as an actress who can turn on a dime going from sarcasm to laugh out loud jokes to putting a tear in our eye with, seemingly, little effort. It touches on pregnancy, abortion, independent women, loneliness, growing/being old and what that entails, fleeting fame, how we can hurt people unknowingly, how we hurt each other mostly in short but effective scenes. One scene alone with Elle taking a shower, brushing her teeth, is more than worth the price of admission.